Dr. Michael N. Geselowitz, Director of IEEE History Center, gave a lecture titled "Activities of the IEEE History Center and Milestones" on May 19th. He holds Ph.D. degrees in anthropology from Harvard University after he studied electrical engineering and anthropology at MIT. He has worked as an electronic engineer for DoD and as a group manager at a market research firm. Since 1997, he has been serving as Staff Director of the IEEE History Center. 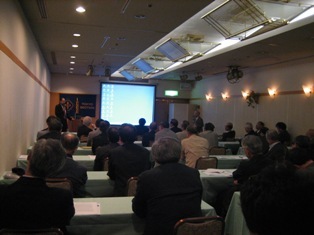 He visited Japan as the first time and had a chance of giving lecture to the IEEE members in Japan after he had visited the sites of Milestone candidates in Japan. The following is the abstract of his lecture. 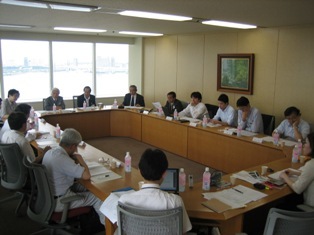 The Second Tokyo Section Executive Committee Meeting of 2008 was held at Toshiba Beulding from 15:00pm on June 23(Mon.). The Third Tokyo Section Executive Committee will be held at Tokyo, on October 6th. Region 10 Annual General Meeting 2008 was held in Amehabard, India on 2-3th Februrary 2008. Makoto Hanawa, Executive Committee Member, attended the meeting from Tokyo Section and Tsutomu Sugawara from Japan Council. Delegates include guests and representatives from IEEE head quarter, Region 10, Council and Sections, and total number of official attendee was 99. The meeting was very successful and it reflected importance of Region 10 in IEEE.